Sir Michael is Chairman of the Medicines and Healthcare products Regulatory Agency (since December 2014). He is a Clinical Pharmacologist and Specialist in Internal Medicine. He was Professor of Clinical Pharmacology in Newcastle, and Physician at the Newcastle Hospitals, from 1973-2006. 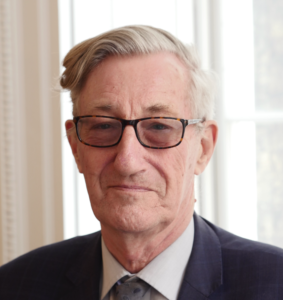 Sir Michael was Chairman of the Committee on Safety of Medicines (1992-1998), Chairman of the Advisory Council on the Misuse of Drugs (1998-2008) and founding Chairman of the National Institute for Clinical Excellence (1999-2013). He is recent past President of the Royal Society of Medicine (2012-2014). Currently Sir Michael is Chairman of UK Biobank, Honorary Professor at the London School of Hygiene and Tropical Medicine, and Emeritus Professor at the University of Newcastle upon Tyne.